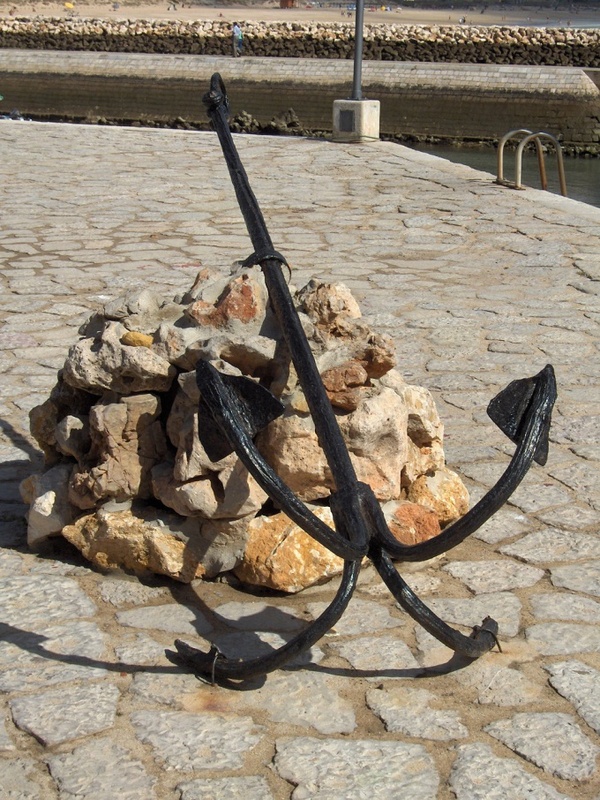 The anchor serves to keep the floating object in the same place. It can be cast, forged, or is a welded design. Depending on the kind of design different ways of attaching it. Thus, the anchor cable for the bracket, a loop, or do a stroke, hooking not only at the handle, but the trunk. 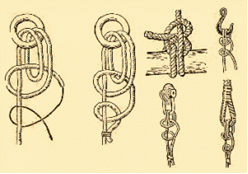 It is possible to tie an anchor, if you have a special anchor rope. Such a rope at the end there are loops, they are also called "fisherman's fire", they screw the carabiners the rope is attached to the anchor. If the rope has no such loops, the anchor can bind the most simple, but reliable host. But later, if the anchor you have something hooked, then raise it will be very difficult to have to dive. If there are no special rope, tie ordinary, using the host of "fishing the bayonet." There are other more convenient options for fixing anchors. You can anchor the tie is not a clip, but for a place where it joins the lower ends of the horns and the lower part of an anchor. The anchor rope is tied with fishing line, twine, cord. But they choose so that they had a breaking load of not more than 15-20 kg. If suddenly there will be strong engagement, this cord can break and lift the anchor over the trend. Another option is the stroke. Skip through the bracket anchor rope and tie it to the trend. The remaining end of the rope pull up and lock. This part of the rope must be greater than the depth of the Parking lot, then you will have additional insurance. Sometimes you need to tie two anchors. Then to the shore the anchor of stretch marks can be one or two, all depends on the environment. If you want to make Parking in the area, where there is a large wave, the vessel should steer to the wave bow. Otherwise, the orientation of the vessel is not so important, it is only necessary to consider the convenience of disembarkation and landing of passengers. If you do not know the hydrological features of the area, it's good to have a Supplement to the anchor chain of large links, the chain length of 70-100 cm, It can serve in the form of advanced shipping anchors, and if necessary, it can be attached to the legs of the anchor, and then to the trend. If you will be swimming in water where there are submerged trees or snags, before drop the anchor, tie a trend bugrep with a buoy, a length of 10-15 meters. Instead of a displacer, you can take a wooden Board, a piece of foam etc. If the anchor you are stuck and for the anchor rope to raise it is difficult, then pull buira, and then the anchor will be released.